Having a loud exhaust is ideal in most situations, but there are always those pesky situations where you wish your car would be just a little bit quieter. Active exhaust has been available on a number of vehicles for a few years now to help out with that, and thanks to Roush, you can now program exactly how loud you want your exhaust to purr. 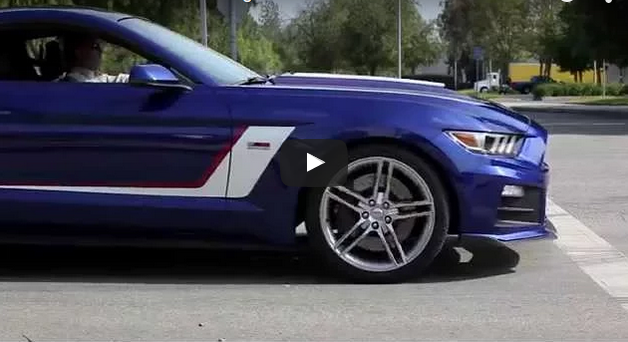 The Roush Active Exhuast system works with an app that gives you full control over your exhaust. The pre-set modes are called Touring, Sport, and Track and they range from quiet, middle-ground mix, and noise all the time. The fourth available mode lets you dial in exactly how loud you want your exhaust to be depending on where your engine is in its rev range. Based on what you input in the app, the exhaust baffles will open to adjust to the percentage you’ve selected.